On December 20, Ambassador Liu Xiaoming hosted a farewell dinner at the Chinese Embassy for the departing Minister Qin Gang. 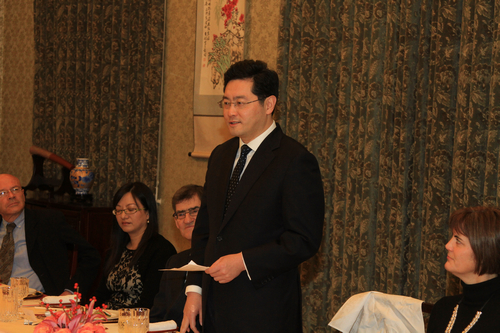 Guests from the political, cultural, and academic circles and the media in the UK attended the dinner. In his speech Ambassador Liu spoke highly of Minister Qin Gang’s diligent and pragmatic work style and his great efforts in promoting the development of China-UK relations during his term of office. He wished Minister Qin even greater success in his new position after returning to China, and wished greater progress in the China-UK relations in 2012. 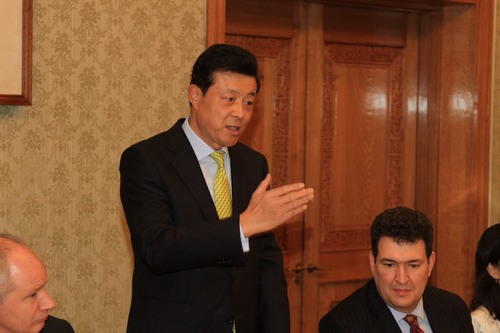 Minister Qin looked back over his work in the UK with deep emotions. He thanked Ambassador Liu for his guidance and help, the colleagues at the Chinese Embassy for their support and assistance and all the British friends for their good cooperation, and said he would continue his efforts in promoting the development of China-UK relations. 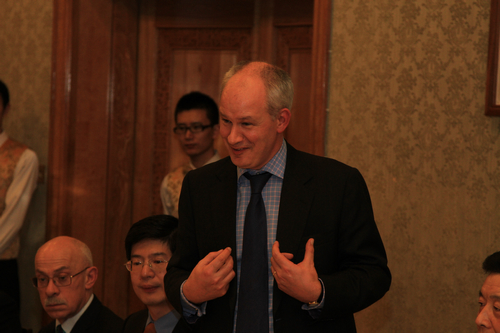 Mr. Peter Wilson, FCO Director for Asia Pacific, and other British guests also recalled their pleasant exchanges and cooperation with Minister Qin. They expressed their regret for the Minister’s departure, wished him every success in his work back in China and expected that the Minister would continue to make contributions to the development of China-UK relations.